Who needs to go to the beach in the summer? It was mid-November when a group of friends and I headed to Crane Beach to explore and shoot around the area. 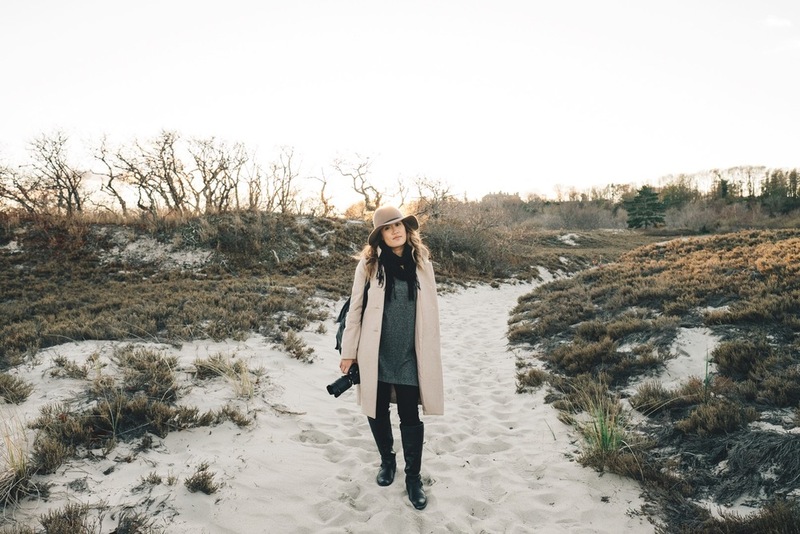 Located on the North Shore in Ipswich, MA, Crane Beach is a beautiful conservation area, consisting of a large Estate, hiking trails, sand dunes, and of course the water. I brought with me my Fujifilm X-T1 and Fujinon XF 16mm f/1.4 lens. We wandered the area all afternoon and ended at the sand dunes by sunset. With the golden light and white sands, it looks as if we were in the desert! The X-T1 captured the colors and scenery very well. The light was fading away and as we reached the beach, something magical happened. The wind picked up the powdered sand along our feet and carried it from land to sea, creating moving lines along the beach. I at first was skeptical using my gear on the beach since I've heard horror stories of sand getting into and ruining your camera. But since my X-T1 and 16mm lens are both weather resistant, I figured my setup can withstand these elements. To my expectations, my Fuji gear was a beast and withstood the sand and frigid winds. It showed no sign of slowing down and continued to shoot until my fingers froze. By the end of the day, my gear still works and I came home with a some spectacular images. There's no complaining with that!